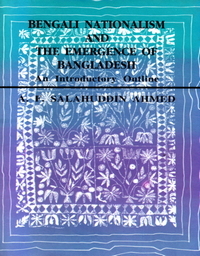 A. F. Salahuddin Ahmed was born in 1924 at Faridpur, Bangladesh. He obtained his B.A. Honours and M. A. degrees from the Calcutta University and subsequently A.M. and Ph. D. degrees from the University of Pennsylvania and London. His teaching career began in 1948 when he joined the Jagannath College, Dhaka as a Lecturer in History. Subsequently he served as Lecturer, Reader and Professor of History at the Rajshahi University, and later as Professor of History at the Jahangirnagar and Dhaka Universities. He was a UNESCO Cultural Fellow at the Kyoto University, Japan (1956) and Visiting Lecturer in South Asian History at the Universities of Pennsylvania and Chicago (1963). 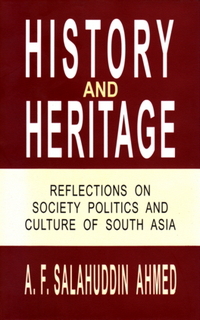 A leading historian, Professor Ahmed is the author of a number of books both in English and Bengali which include: Social Ideas and Social Change in Bengal 1818-1835, Bangladesh: Tradition and Tranformation, Bangaleer Sadhana O Bangladesher Muktijuddha, Bangladesh: Jatiyatabad, Swadhinata, Ganatantra, Itihaser Sandhaney, Bangladesh : Otit, Bartaman, Babhiswat.